"We are in a race between education and catastrophe." Celebrating album release anniversaries like holy days is just another day in the life of a music nerd like moi. When an album you love is released, its essentially a time stamp -- of what's happening in the world, what's happening with that artist, and what's happening with you. It's a powerful form of nostalgia. Now, to be quite fair, I don't really remember September 1989. Back 25 years ago, I was just past 2 years old. But in the years since, I've become quite attached to a project that saw release on September 19th, 1989 -- an album that was a turning point into true, unequivocal greatness. It was the day Janet Jackson's fourth and first real "concept" album was released. 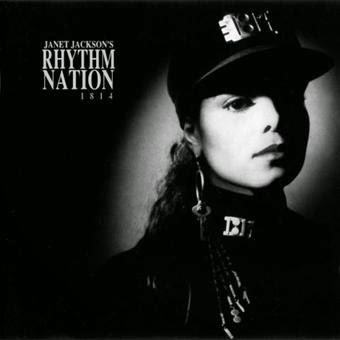 Rhythm Nation 1814, made in tandem by Jackson and the Creative Genius that is Jimmy Jam & Terry Lewis has since sold over six million copies in the United States alone. A followup piece to her game-changing and independence-verifying Control album, Rhythm Nation was serious commentary on the world around us, a snapshot of life in the United States. In the 25 years since Rhythm Nation's release, it's presence is still being felt with a menagerie of contemporary artists sourcing influence from Jackson during this incredibly potent stage of her career. And the content of what makes up Rhythm Nation is still poignant to this day. We have to make them better! It's time to give a damn! Small Soapbox Moment: It's hard to believe that it is now 2014 and still the social injustice in a country like the United States -- a country who claims to pride itself on equality and freedom -- continues to be a problem that needs solving. As the hateful Conservative versus Liberal divide grows more bitter by the day, as more riots happen in reaction to action that should have never been taken, as gay marriage continues to be a hot topic in politics when religion and state are claimed to be separate, and as our very own Congress chooses to not pass an act focused on equal pay for women, is it really that surprising that a song like "Rhythm Nation" still rings true as a call to arms? When you listen to songs like "Rhythm Nation", such a strong piece of work in illustrious and incredible career of someone like Jackson's, it raises an important question about our (pop) musicians of today and whether or not they choose to take a stand. Lines can be drawn to activist-minded artists who write their own material like say J.Cole, Childish Gambino, Demi Lovato or Alicia Keys. It's not to say that all music should be about serious matters, but I do feel like as a celebrity with a voice, an influence upon the masses, to use that voice for the greater good is an important quality that our generation is lacking in. Prior generations had songsmiths like John Lennon. Twenty-five years ago, Ms. Jackson -- then just 23 years old -- chose to release the symbolic Rhythm Nation rather than the true "sequel" to Control her label desired. As she herself stated in Essence Magazine back in 1990, "It pleases me when the kids say my stuff is kickin', but it pleases me even more when they listen to the lyrics." Who else from our generation of artists will choose to take up the reigns to join this Rhythm Nation toward something better? Talib Kweli recently Tweeted, "If you as a celebrity wait for CNN & Fox to talk about problems in our community before you do then YOU ARE PART OF THE PROBLEM." I think he couldn't be more correct, but it goes even further than just toward celebrities. While any great movement needs a rallying cry, true change is only enforced when multiple voices are heard -- and at the end of the day, in a country that celebrates equality for all, one singular voice should not heard more clearly over another. Together, we all need to join in to this Rhythm Nation of change.